Description: This contemporary piece was custom designed and built for a young couple living in Los Angeles. They wanted a sleek and contemporary hall table for their front door entry area. 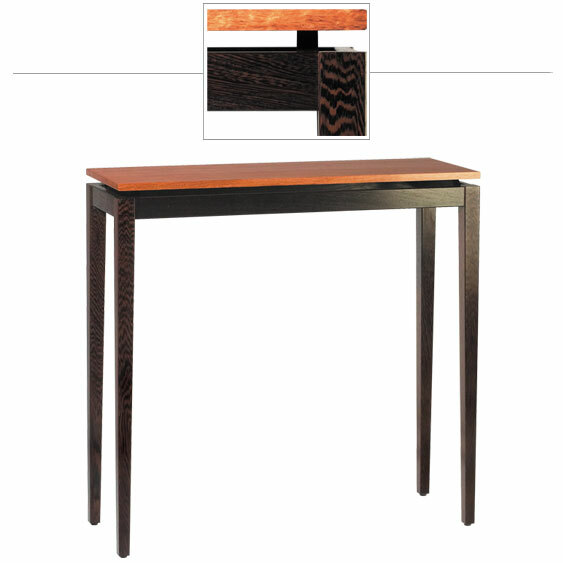 The Bubinga wood table top has dramatic color and appears to be floating over the sleek Wenge base. The craftsmanship is exceptional with beautiful, sturdy joinery and a satin smooth finish.